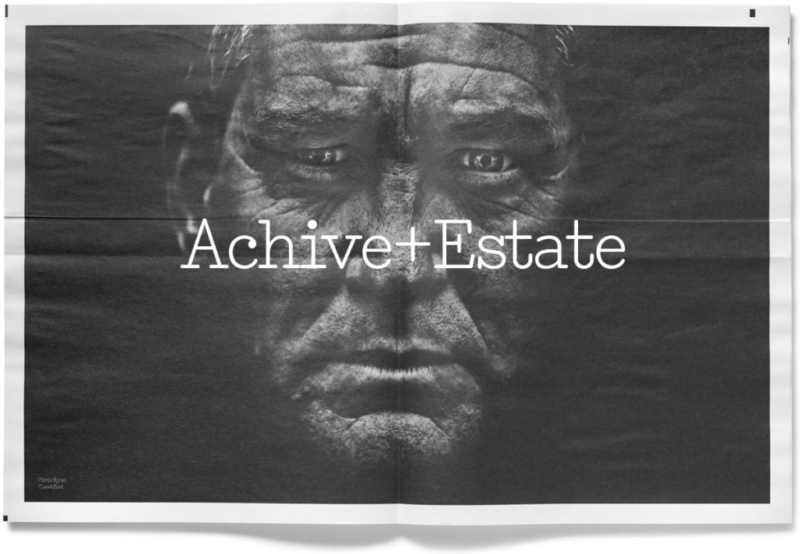 Our Newspaper of the Month for January is Archive+Estate, a limited edition series of papers that 'seek out the hidden and reveal the intriguing.' 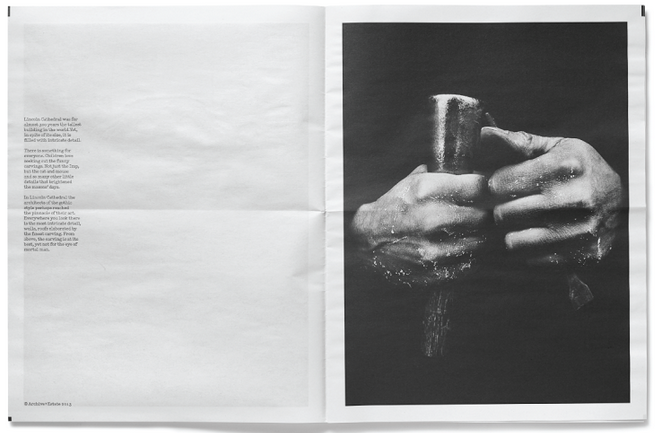 It's a clever collaboration between two creatives -- photographer Andy Weekes and graphic designer John Dowling. 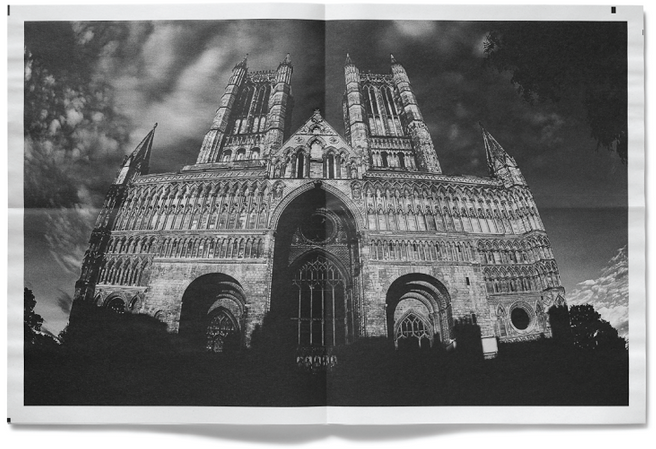 So far they've printed four digital tabloids exploring very different subjects, from the moody landscape of Glencoe to a look inside Lincoln Cathedral. 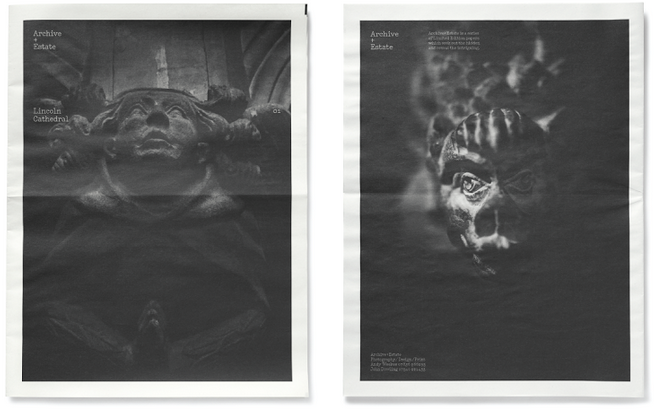 It's all black-and-white photography, which looks very dramatic in newsprint, and you can buy three of the editions in The Newsagent right now. "Our initial intention was to produce limited edition papers which satisfied our own curiosities. Self-initiated projects which allowed us the control and creative flair to run with an idea without having to be slave to the brief or client." "As things developed we used Archive+Estate as a vehicle to gain access to places and locations which weren't always available to the general public. The big attraction from our point of view is visiting our favourite destinations and seeing things which have been hidden away from view for one reason or another, allowing us to reveal and share our experiences." "It really is a 'not for profit' scheme as we normally put together a paper for the person or location that allowed us access as a free gift – a way of saying thank you – with the intention hopefully that they will love it so much they will do an extended print run which they pay Newspaper Club directly for." "This is why the idea of designing it as a newspaper and working with Newspaper Club is a perfect match. We can do a very small limited run, normally around 50 copies as a way of 'selling' the idea, and then maybe print an additional 2,000 like we recently did for the National Trust Workhouse at Southwell, for them to give away to their visitors. At the end of the day everyone is happy and we've had fun creating something new and hopefully inspiring for people to enjoy."